The bunot and the walis are omnipresent parts of the Filipino household’s cleaning equipment. 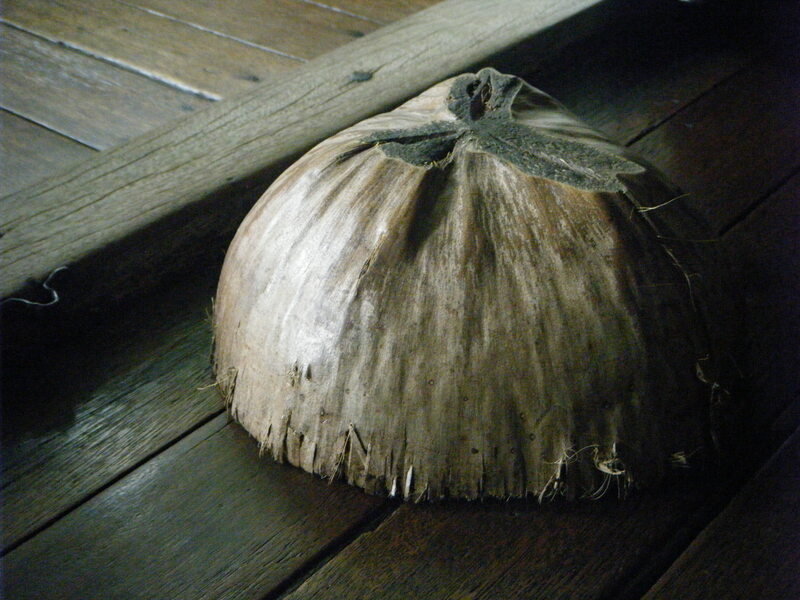 The bunot is half of a dried coconut husk, used as a floor buffer for wooden floors. The walis, on the other hand, is simply a Filipino broom. 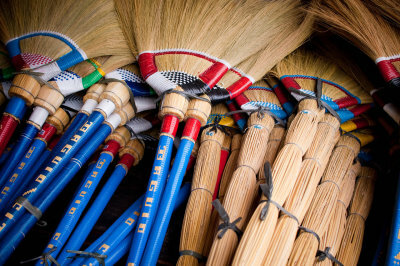 There are two kinds of brooms; the walis tambo and the walis tingting. Walis tambo is a softbroom, made with tiger grass and bamboo, and is useful for sweeping up smaller litter, like dust and hair. On the other hand, the walis tingting is a stickbroom made with coconut frond spines, and great for cleaning outdoor areas, where fallen leaves can clutter up an otherwise immaculate street. Coconuts, tiger grass, and bamboo are all indigenous to the Philippines. In fact, they can be found practically everywhere. Before commercial cleaning tools made of plastic and cloth came into the market, the bunot and the walis were what kept the floors of Filipino homes clean. Even today, these tools are still used in homes and establishments throughout the Philippines.